Updated 11/04/2019 By Alyson Long. Any post on this site may contain affiliate links. If you use them, they cost you nothing extra. We make a small commission. If you’ve been following our Facebook page over the last month, you’ll have seen me alternately complaining and raving about food in Sri Lanka. Food is a big part of our travel experience, we like to try as many new foods as we can and, hopefully, enjoy them. (For non-regular readers, my husband is an Executive Chef ). Sri Lanka bought us good food in abundance and just one or two bad dishes, but what we found tricky in Sri Lanka, surprisingly, was finding good Sri Lankan dishes. It was so hard in some places that we pretty much gave up. We were really looking forward to eating our way around this beautiful island. 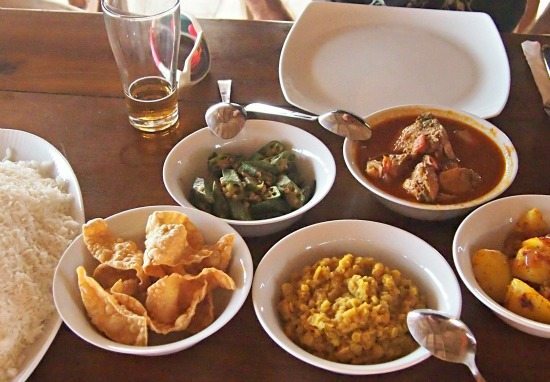 They say Sri Lankan food is similar to South Indian food, one of our favourite world cuisines . It’s similar is style, but the execution is different. That said, by the end of our trip we were pretty much converted to the different spicings. We’ve had a few food issues in Sri Lanka, some days I haven’t been able to face eating at all , other days, dinner has been cheese triangles and biscuits. We’ve had plenty of uninspiring food and options have been very limited in some places, we just didn’t know where to go to find what we wanted, ie. good, real, Sri Lankan food. The good news is, there are many uniquely Sri Lankan foods that you should try if you’re here. We’ve enjoyed trying string hoppers, egg hoppers, various roti, glorious fresh coconut sambol, pol roti, fresh buffalo curd and palm “trickle”. Sri Lankan breakfasts are superb. I’ll have to put all that in another post, I’ve got plenty to rave about. Today I’m going to have a winge. Find out what on Earth a hopper is here. On the coast it’s all about the fish, which is understandable, the Sri Lankans are fishermen and they catch an amazing variety and abundance of sea creatures. You’ll see fishermen selling their catch straight from the sea at roadsides and in markets, it’s so fresh and the variety is stunning. Unfortunately, some ( only some!) of the beach restaurants keep it hanging around way past it’s sell-by date and often at room temperature. We saw the same fish being brought out for dinner service day after day in Mirissa (we LOVED Mirissa otherwise! ), some was way past fresh. If you know how to pick out a fresh fish and you’re prepared to pay through the nose, go for it. Sitting downwind of some of the fish displays was enough to tell us it wasn’t fresh, remember, my husband knows this stuff inside out. We got the impression that many small restaurants on the beach are set up to make a quick buck out of the tourists, which is understandable. The owners and chefs really aren’t interested in food quality at all. It’s a problem in many places around the world with a steady flow of new tourists so that restaurants aren’t looking for repeat customers. On the coast we came up against an extremely boring, standard menu just about every small tourist eatery we tried. It seemed that each restaurant was basically serving the same thing, and it wasn’t Sri Lankan food. Every menu had chow mein, fried rice, pasta and fried noodles, not the sort of thing that we want to eat at all. Rice and curry is the classic meal of Sri Lanka, the rice being the major component, not the curries. The big issue is, if you want rice and curry, or even a Sri Lankan breakfast of hoppers and curry, in one of the coastal tourist restaurants, you need to order hours in advance. For breakfast you order the day before. When you’re travelling around, that can be tricky. $28 (that’s a lot!) and a 3 hour wait for very uninspiring Rice and Curry. Price is the other problem. We payed 800Rs ($7) each for rice and curry on the beach in Tangalle. When it came, 3 hours later, it was very disappointing. Cold popadoms, fish with scales, bones and skin, over salted, dried out dahl and too many carbs. At that price you expect something spectacular. We managed to find a few “local” restaurants away from the tourist places that served good rice and curry (200 Rs or so, $2) and had it ready for walk in customers, but it wasn’t easy. Unlike Thailand, or most countries in South East Asia, I get the impression that Sri Lankans don’t routinely eat out much, so there isn’t the abundance of eateries that you see elsewhere. What you will find are short eats, various pastries, filled breads and fried snacks. Some are absolutely delicious, we had great vada (wade) several times, vendors on buses and trains bring them to you in your seat. We also tried some really weird bread concoctions, filled with curry, or in one case, a surprise sausage, they weren’t so good. You’ll see short eats for sale behind glass in shops and sometimes in mobile short eats vans. Look out for the whistling short eats van in Mirissa, it’s cool. This little short eats tuk tuk was in Tangalle. Filled vegetable roti are a regular feature, they’re not bad, the filling is a spiced potato mix, similar to that in a massala dosa. They cost almost nothing and are very filling but roti tends towards being under cooked and doughy in Sri Lanka. We’ve eaten roti in every country we’ve been to so far, it tastes much better if it’s crispy ( Laos gets our vote for best crispy roti). Away from the coast, in Kandy, we had a different set of problems. 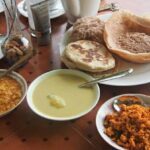 Amazing, huge, delicious cheap breakfasts ( Oh how we LOVE Sri Lankan breakfasts! ), loads of bakeries, but we couldn’t find a meal we liked at lunchtime or in the evening and nowhere( except pubs, a new phenomenon for us in Sri Lanka) served beer with food. I’ll have to write another post about that. Coffee was universally bad. Sri Lankans don’t really drink coffee as we know it, so my morning coffee habit went out of the window really fast. Tea, on the other hand is excellent in Sri Lanka, we drank pots and pots of it, always served in fine china. You’ll find up-market places serving good, fancy coffee with a hefty price tag, but it has to be a rare treat, not a daily necessity, at those prices. I tried one glass of wine, in Hikkaduwa. It was nasty so I gave up. Lion beer, on the other hand, is good and cheap. Sri Lankan breakfast. Loved it, when we could get it. Fresh pol (coconut) sambol is amazing! This was our 3rd visit to Sri Lanka, my first as a backpacker or budget traveller. ( we’ve since been back 2 more times). On my previous visits I was spoiled with buffet breakfasts and hotel food. It’s a very different experience. I never tried, or even saw, a hopper back then. I went home raving about Sri Lankan food, twice. This time, I’ll give it a thumbs up, but it’s been tricky to find food that we’ve enjoyed without breaking the bank. 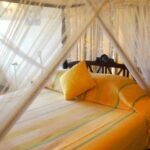 The hotels and up-market restaurants are there and the food is sensational, but it’s not within a backpacker or traveller budget. I will say that nobody has been sick this time. We’ve stayed away from the fish on the beach, I think that was the key. My travelling companion went down with amoebic dysentry followed by a severe reaction to toxins in prawns a few years ago. But them’s the breaks. We’ve loved our time in Sri Lanka, it’s one of my favourite countries in the world, I just wish we’d had a bit of local food knowledge before we wasted a lot of time and appetite on trial and error eating. Maybe a food tour or cookery class would be a good idea to uncover the real gems of Sri Lankan cuisine. We’ll be back in Sri Lanka soon, we hope to be able to give you the other side of the story, show you how amazing Sri Lankan food can be away from the chow mein and sweet and sour emporiums. So now you could go back to our Sri Lanka Family Travel Home Page or you could take a look at a place in Sri Lanka where we enjoyed superb food. A Sri Lankan chef with a passion for his art and skills he enjoyed sharing, take a look at the Max Wadiya villa, just to prove food in Sri Lanka can be amazing. We still talk about those crab curries. The Templegerg Villa and Balapitya Beach Villa also gave us good home cooking. Most hotels we’ve used in Sri Lanka, at higher price points, have also offered good Sri Lankan food. 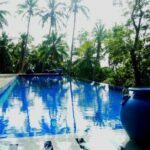 This post reflects our first-hand, honest, real-life experiences of travelling and eating in Sri Lanka, over several months and years with a dash of executive chef expertise. What are we up to in Sri Lanka? Great recommendations, thanks Sionhan. If we make it back I’ll come ckeck out those restaurants. It is such a shame that most places where you could sit and enjoy the view just don’t get it. You have looked in wrong places perhaps. We have really good food. Many complain those are spicy. For $ 16, you have got a really good meal with potato curry, ladies fingers & others. Just think what will you get if you go to KFC or McDonalds? For $ 16, you will not get few dishes in a good restaurant in your country, Anyway, if they took 3 hours that’s real bad. It surprising. Try Kiribath or MIlkrice next time for breakfast. Our coffee is traditional; Its not roasted like Nescafe & the taste is much different than coffees used in Europe. Once you get used to our traditional coffee, you will learn to love it. IN the same way, we do not like the strong taste of famous coffee brands. Sometimes they display what they have just as show case. But they won;t offer you the same. They cook fresh food inside. 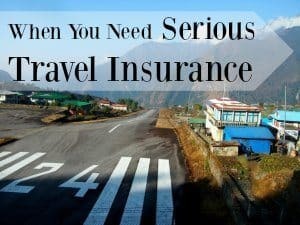 Some issues you have mentioned we have experienced too. Someone posted here saying that we do not eat from outside much. Mostly we love home made food; when we go for work, we carry our own food, But we enjoy restaurant food at friend get together & outings. You need to try ;Koththu’ & ‘Pittu’ with coconut milk. Try our ‘ruhunu pickle’& ‘polos curry (tender jack fruit), kiri kos (jack fruit curry) , mango curry, ambaralla curry , brinjal moju as well. Thanks for liking our food & country. We’ve had all of the above, they’re great, ( don’t like milk rice) but we had to have our own chef to get them We used a couple of villas, cheap and expensive, that offered this – more like home cooking – fantastic. We actually have a jackfruit tree in our garden here in Australia, I can knock up a mean Sri Lankan style jackfruit curry. You just can’t find simple daily food, that’s actually Sri Lankan it in the restaurants usually. Instead you’ll see Chow Mein and so on. I don’t know why they do this, probably for speed, convenience, low cost and there being no skill in cooking it. By restaurant I mean – a place where you eat 3 times a day every day – as travellers we eat all of our meals in restaurants, for months and years at a time. That sort of food, where you don’t want anything fancy, is just hard to track down. I think you’re getting confused about that. We don’t go to a restaurant for a treat, we go to feed ourselves. I would argue with you that $16 is still very, very expensive where you can eat like a king all over Asia – most of South East Asia – India – for just a couple of dollars. Likewise most parts of Europe, I could get something better for that money. Coffee is bad in a lot of countries and we don’t expect to find good coffee everywhere, I just mention it in passing because readers will want to know what the coffee situation is. A lot of people hate Nescafe – why would you mention that stuff? But if it’s available I’ll take it over no cofee or – the worst thing on the planet – instant coffee with added sugar and milk powder – ugg. I’m also well used to Sri Lankan coffee, it’s OK, just the tea is better, I like tea. You mention Mc Dolalds, a Big Mac and fries is well under $16, so I don’t know what you mean sorry. Also the above was not a good restaurant, it was a beach shack. Why are you trying to compare every day food to fine dining or fast food? I just don’t know where you’re coming from with that, my apologies for not understanding. In Australia we pay a fortune for fruit and vegetables, the same can’t be said for Sri Lanka so you just can’t compare like that. The meal above looks good but it was terrible, badly executed, poor quality. I love Sri Lankan food, absolutely adore it, it’s just diffincult to track down sometimes. So difficult that after an hour of wandering we did, more than once, end up with cheese triangles and crackers. I appreciate that it’s not Thailand or Vietnam where the food culture revolves around good, street food aimed at locals, it’s Sri Lanka, not Thailand. But travellers like us will find our experiences useful, hopefully learn by our mistakes and put some reasearch into where to eat. 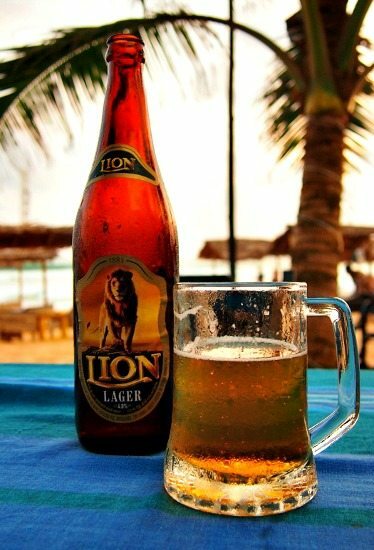 Wouldn’t it be lovely if you could just sit down at any beach restaurant and order a good bowl of dal or egg curry, pay a dollar or three, enjoy a Lion beer at sunset and be happy, rather than being faced with chow mein. Maybe things have improved in the last few years, I do hope so. I have recently returned from Sri Lanka and was very impressed with the food. I think we had an advantage as we stayed with locals rather than the tourists spots, so the food was either personally prepared for us in homes or we were taken to places that our local hosts knew had the best quality food. I had a superb breakfast at Hotel Mankada, Kurunegala Road, Giriulla. Egg hoppers, coconut roti, pol sambol from a self service buffet. The fish we ate was personally prepared for us – so no issues there. In Colombo we stopped for a quick bite the “The Sponge” – pastries freshly made and delicious. The CIC Agribusiness farm is another good place to visit for good quality produce, dried fruits, nuts and dairy – we bought kithul syrup here which we enjoyed later with fresh buffalo curd that our hosts sourced for us. Our final night indulging in the huge buffet at the Kingsbury in Colombo was amazing and not that expensive – highly recommend this for anyone visiting Colombo. Sri Lankan food is great if you know where to look, my advice is to go to the local village areas. You’ll find stores that make and sell really good food but aren’t as formal as restaurants. 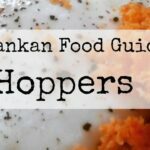 The most common ones are kothu, idiyapa( string hoppers), apa and bithara apa( hoppers and egg hoppers). Have you tried kimbula buns? They’re my favorite breakfast food. ok, so obviously no one knows what Sri Lankan food is. First, I apologize that their curries don’t taste Indian. They are Sri Lankan curries. Not Indian. Second, they have westernized their food for their tourists. Third, don’t expect the food to be great at resteraunts as they rarely feel the need to eat out when they could eat at home. I am done. Thanks for reading. I don’t think anyone here has said that Sri Lanka should serve Indian food, that would be absurd. But I’m not going back through all these comments to check. If they did they’re idiots. And yes you hit the nail on the head right there, ” tourist food” is Sri Lanka’s big problem. But then, the island is stuffed full of tourists these days and some may actually want to eat this rubbish, others have no choice but to eat this rubbish because nothing else is available. So standards never rise. It will take chefs and restaurants who care about their art to change things and it seems sadly that most are out simply to make a quick buck. I’ve never seen anything you’d call a supermarket in Sri Lanka. There is a small one in the shopping mall in Kandy, but very small and a tourist one in Hikkaduwa. Actually that’s a lie, there was a decent one in Jaffna! Unawatuna… I can’t remember any kind of big store, but the little shops will maybe sell the sort of items you describe, we’ve bought yoghurt and drinks, biscuits, never tried to buy bread as we know it. 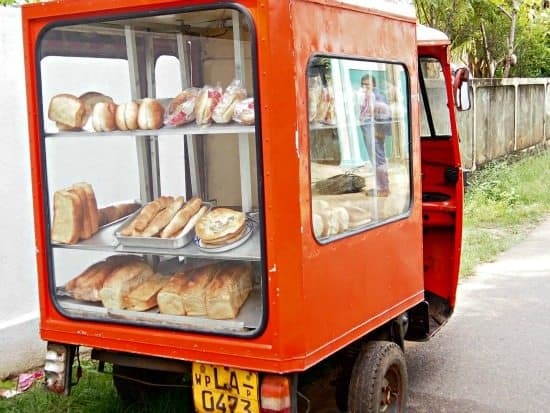 You might have to track down a bakery or “short eats” van for bread. Unawatuna has loads of food options, there was a very good vegetarian rooftop one…I think we had Mexican there and the boys had pizza on the beach. You should be OK. And of course Galle is a tuk tuk ride away, there may be a small supermarket there but I’ve never looked. Thanks for that. As I said we have in the past always found something plain and simple when we need it. So hopefully we will again. I was surprised that you found Pizza being cheese is so expensive in Sri Lanka. Would prefer not to rely on this alternative, but as stated before after a month you sometimes need something a bit different. Hi – just wanted to jump in with some info. There are actually lots of supermarkets in Sri Lanka. Retail chains like in other parts of the world. Look for Keells, Cargills, Arpico supermarkets which are very well stocked. You’ll find them in every major city and large town. In remote villages grocery shopping is always at the markets or ‘pola’ where you buy veg, fruit, meat, fish etc and in small shops or ‘kadeys’. Unawatuna is not remote and has lots of grocery shops. The nearest supermarket if I remember correctly is in Galle town. A short tuk tuk ride away. The Galle market is pretty big too. Correct, unfortunately you won’t find many supermarkets in the beach towns. Not true. We stayed a week in Hiritiketiya & you could walk up to Dickwella Main Street & there was a Cargills Food Mart that sold fruit, veg, dairy, choc, soft drinks, biscuits, deli items, spices, toiletries, whatever you need. We even found a large one in a Jaffna which was well stocked. They are around. As for the food, we found it fabulous but we were backpacking on a tight budget & ate at the local ‘hotels’ rather than with the tourists, & the curry & rice was delicious & varied & cheap. One of the most delicious ones we had was away from the tourist area in Ella & we paid 450Rp/$3AU for it. Some of the best breakfasts & dinners we had were in homestays cooked by the mother. For a few dollars. Food cart rotis & samosas at only 40Rp were delicious & filling. 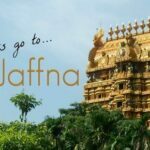 I think I actually specifically mention the Jaffna supermarket above. Well done for finding better food. Every time we’ve been we’ve struggled. In Ella there was a nice little place on the main street with good hoppers and Indian style thalis, but we generally find having to pre organise breakfasts and meals at home stays far too restrictive, plus we want to go out, not stay in.They often want you to order well in advance, day before for breakfast and we often just can’t do that, nor do we want to do that. Also homestays aren’t for us, I like my own space. Traditional Sri Lankan hotels ( restaurants) are pretty thin on the ground, we’ve only managed to find them in places where there are very, very few tourists and the food was never too great..kotu roti, buffet curries. I wouldn’t have a samosa for dinner. We might grab one if we were busy, or a veg roti, and often do. But in the evening I think I’d prefer something on a plate, a sit down and a beer. I’ve not really had one that was honestly good, with the exception of that great place in Mirissa where we always used to get breakfasts and one back street one in Hikkaduwa that we walked miles to find. But look, one person thinks KFC os good, another wants steak, another wants a bowl of dal. I’m in the dal camp, and I, all 4 of us, really, really struggle in Sri Lanka. But that’s for chiming in and taking the time to comment. This post is about our experiences, not yours, so I don’t know how you can call our experoences ” not true” I wonder if you’ve been elsewhere in India, South East Asia, where good food is just so much easier to find, anywhere, sure, Sri Lanka has some fantastic food, I say that. It’s just finding it that’s difficult. Thanks Shazz, starting to get excited, we leave Dec 4th. Our other huge problem is we fly home on 1st Jan so we catch the train back to Colombo on Dec 31. We don’t want to do one of the big hotel dinners as we have our son with us, and they are too expensive. Really having problems finding a mid priced Restaurant to just have dinner and a couple of drinks and then head down to the green. I’m hoping we may be able to book something when we first arrive on 5th for this. Any suggestions would be greatly appreciated. Hey, I ‘m not sure whether it’s too late for u or not. There are two main supermarkets in Sri Lanka. Cargills food city (available in most places), Keells Super. About the food, yes I agree that they are westernized in tourist areas but you can find better places for a cheap price away from tourist areas. I know this because I’m a local. Usually people are friendly and helpful you can always ask them where to find a authentic Sri Lankan food. I have visited Sri Lanka over 15 times in my life as my parents were born there. While food at home is always by far the best (eating Sri Lankan food out is pointless to many locals) it is clear that the author here just does not know where to look for good food. There are a number of great places to eat all over the country – but particularly in Colombo – but you have to know where to go. Plus, Sri Lanka has only in 2009 come out of a 30 year civil war and tourism is just now in the past fewyears sky rocketing. If you come to a developing nation, ravaged by civil war and expect to be able to eat in nice places all the time then I think you are just going to be disappointed… I hope that as investment continues to boom in Sri Lanka the island creates more good quality eateries but until then, eating at home at mum’s or doing your research by asking locals before you go will always be the best option! Which is exactly what I said in the post. Cheers. The thing is, in Asia, we expect good food, this is not the case in Sri Lanka, no blame, no fault, just the fact of the situation. Also it’s nonsense to say that tourism in Sri Lanka is a recent thing, I’ve been visiting for 20 years and tourism was always huge during that period. We’re not looking for tourist food, we’re looking for good Sri Lankan food, and that is really hard to find, I just want people to be aware of that fact before visiting, because those of us used to India, Thailand, Vietnam and so on, will see a huge difference in food availability. I’m Sri Lankan and you’re right, going to restaurants isn’t really something that many locals do. It’s expensive and the best cook is always your mum ( or my dad in our case). I struggle to find a place where the food is anywhere close to the quality he cooks. In saying that, Sri Lanka only opened up to tourism after the war, and your suspicions are correct that many of the restaurants you find are there to milk money from tourists who they think don’t know what good curry should taste like. So anyone can open a restaurant and call themselves a chef. The best food you’ll find restaurant wise is in Colombo which has had more than a century to hone its craft. It’s where the most affluent people have lived (the ones that could afford to go to restaurants and bars and clubs). There are some well established restaurants. Places my parents went to when they were young and their parents before them and still open e.g . Green Cabin. Elsewhere good food is to be found in five star hotels and luxury accommodation. You certainly get what you pay for over there. An example from our recent trip back with my parents was in sigirya. We went to a restaurant and although the cook was so eager to please my parents as they were Sri Lankan, it was clear he didn’t really know what he was doing. I hope it improves as tourism strengthens and they start becoming passionate about customer service and quality instead of making quick cash. Don’t feel bad Jaya, on the part of Sri Lanka, you see the same thing in any place tourists need food, from London to Australia. What makes Sri Lanka different is that it’s in Asia. In most of Asia it’s cheaper to eat out than stay in and street food is aimed at locals and superb. So travellers like us, we eat out 3 times a day, every day, for at least half the year, come badly unstuck in Sri Lanka. Still one of my favourite places though and my mouth is watering right now thinking about string hoppers, dahl and pol sambol. Thanks for the informative article. My partner and I are big foodies and we are travelling to Sri Lanka in a couple days. We are going to Negombo, Dambulla, Kandy, Ella, and Unawatuna… do you have any recommendations for good restaurants in those specific places? I am super excited, but nervous about the food quality and we really want to experience all the best food there. Sabrina, if you look at our posts on Ella there is a place we liked and 1 decent breakfast place we mention in Kandy. The others I don’t really remember finding anywhere different to all the other places. Sorry. Unawatuna is lovely though, I think there was pizza involved a few times there and a rooftop vegetarian place that served Mexican. You are awesome- thanks so much! Pizza is a pretty safe bet, since it should be roasted and well-cooked. Did you eat fruit that was served and accept ice in drinks? I am paranoid of stomach issues so going to live by the rule, “peel it or forget it!”, only drink bottled water, no ice, etc. Also were you able to buy alcohol when it was available? Apparently it’s technically illegal to buy it unless you are male. You can buy drinks in any restaurant or bar, no problem. There are also bottle shops, I can tell you where they are in Hikkaduwa, Kandy, Ambalangoda and Unawatuna. My husband always went, but I’ve never heard that thing about being male before. We have ice, smoothies, fruit, everything. Avoid lettuce, bad fish, stale rice and whatever just looks dodgy. We don’t usually have any trouble, not since that first time 20 odd years ago. That’s old advice, most places use bottled water for ice these days, but if you don’t trust them, ask for drinks without. Pizza actually isn’t very smart to eat, quick cooking, low temperature, toppings don’t get very hot but the kids like it. I stick with dahl, veg curries and veg roti or chapattis, hoppers, and have no problems. None of us eats rice usually. On Poya day they supposedly don’t serve alcohol but they mostly do, sometimes in a teapot as a disguise. Yeah rice I can take it or leave it, but I’m excited to try the hoppers and sri lankan curries! Loving those breakfast curries! And if you can find a good Chef, the crab curry is to die for. Dear Ramjam at The Max Wadiya was a culinary super star. Unfortunately that place is very expensive. Hey I just got some email notifications about this message board so wanted to hop on and let you know we are back from Sri Lanka and had the most wonderful time. We ate so much awesome food, and neither of us ever got sick. Although I was surprised that we were served western/European breakfasts at our hotels more often than Sri Lankan breakfasts! But yeah, everything was awesome. Never bothered with pizza. It really helped to have a sim card with data so we could look up restaurant reviews on the spot, and also our driver gave us lots of recommendations everywhere we went. Such a beautiful country with beautiful people… we are already planning our next trip back! In Sri Lanka right now and oh my the food is beyond terrible. We’ve tried everything from cheap local joints to pricy places. Local and western. The quality of the ingredients is horrifying. The cooking gives you the impression that the cook either hates what he’s doing or has no clue. I went to check the supermarket and death smell from the butcher aisle hit me in my face. We’re pescatarian which usually limits options. In Kandy, kotta from Muslim Hotel was our favorite dish. Yay for buffalo yogurt and pineapple curry, too. On the east coast we were stuck eating either “fried rice” or “fried noodles” neither of which was exactly inspiring (and got old very quickly). Our hosts warned us to stay away from any filled pastries because they usually use old meat/fish/whatever for those. Thank you for this review. I am a vegan and I hope to find options to feed my family. We have been here 4 weeks and we are experienced travellers around Asia . Eating on a budget and in top hotels . My initial thoughts was that Sri Lanka was very similar to goa twenty years ago . Beautiful place but lacked the hospitality experience . But all four of cannot wait to get home and eat healthily . Our experience has been more than disappointing, service is terrible meals arriving at difrent times and in difrent states . Never served what you order . Quality of food is either passed its sell by date or just under cooked . Hello! You and your partner seem very knowledgable regarding the food in Sri Lanka so I hope you don’t mind me asking your advice? Me and my partner are planning a ten day trip around Sri Lanka in September but he has a severe nut allergy. I’ve read lots of forums saying this generally isn’t a problem and we will carry translation cards round as a precaution anyway but I just wondered what your thoughts were on this? If travelling here will endeager his life then that really isn’t worth it! Thank you so much in advance for any help you can offer. We really don’t know a whole lot about allergies Jess, as we don’t have them personally, but we do know a lot from a chef’s point of view as my husband often has to cater for allergy sufferers professionally. I would be very, very cautious. They use cashews in a lot of dishes in Sri Lanka and chefs outside the big hotels will not understand allergies, how serious they are and how scrupulous they need to be in avoiding minute contamination. Chef also says that bought sauces, ketchups, soy sauces etc, can contain peanuts. They will use these in cooking and they will be cheap brands, probably Chinese, containing who-knows-what. If you’re staying in a big hotel I’d talk to the manager and head chef before booking, make sure they understand and can keep him safe, the junior chefs won’t have a clue, they’re often kids, no English,little education, they won’t know or care, they’ll just nod in agreement. If you look at somewhere like Max Wadiya, where we basically had our own private chef, I’m sure they’re do absolutely everything they can for you.The Sri Lankans are wonderful people, the best, but they just may not understand how minute contamination has to be, nor will they know the ingredients in every product they use. Good luck. Hi Alyson, I enjoyed your article thanks. I grew up in SL but have lived overseas for many years. Given my memories of ladlefuls of delicious curries served with steaming plates of rice, needless to say one of the things I most look forward to when visiting SL is the FOOD. Sadly though, the food does not always meet the mark. On our last holiday in SL the most memorable food was from a hopper stall in Colombo which cost hardly anything. I found most other places served bland curries, perhaps with the mistaken impression that tourists can’t handle spicy food or because they don’t want to put too much effort into satisfying transient visitors. 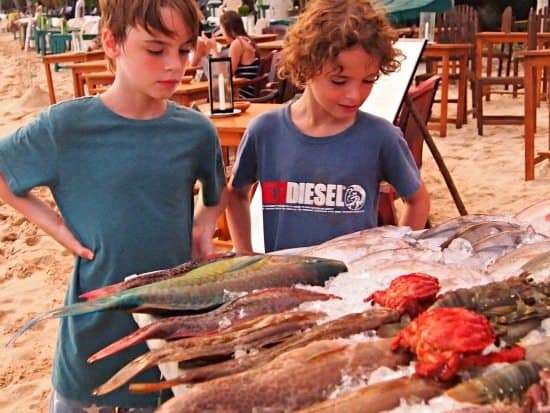 I was sorry to hear that you couldn’t get fresh fish – we’ve travelled a fair bit and fresh fish is one of the things we look forward to when staying by the sea! I love SL and the beautiful home cooking I’ve had at friends/relatives’ houses but a lot of the eating places we went to did not meet expectation. And it’s a sad day when a restaurant cannot get a dahl curry or pol sambol right (true story!). Yep, it’s a great shame that good food is so hard to find in Sri Lanka. We had amazing food in Sri Lanka (2016) in a private villa with it’s own Chef ( The Max Wadiya) He was clearly passionate about his art and turned out some amazing dishes. Even my kids raved about his crab curry. A lot of the big hotels served good Sri Lankan food too, but on the street and on the beach there’s not much to enthuse about. Globally restaurants are struggling, there is a real shortage of good, qualified chefs. Nobody wants to work that hard and few have the passion to create beautiful food. Too many chefs see it as “just a job” these days particularly in tourist areas, we see it everywhere. Thanks for commenting NF. Thanks for your meaningful comment Gaz. Second that, this person know how to whinge!!! Thank you for sharing your experiences of food in Sri Lanka so eloquently Gaz. We’re not meat eaters James, so we can’t comment on meat based dishes. Like you, I had Sri Lankan friends back home, I grew up with their sons, Sri Lankan home cooking was excellent. 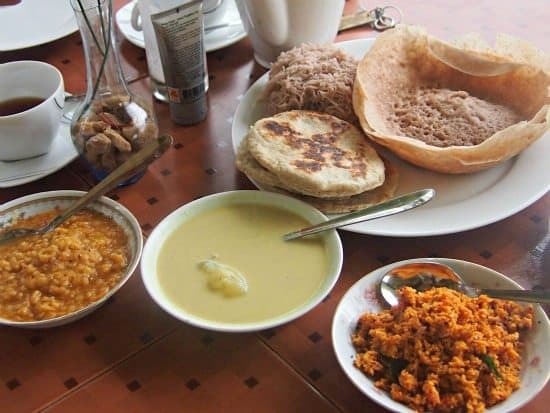 I’ve been in Sri Lanka a few days (mainly Kandy) and the food is worse than even this article describes… Many places have bad western food, the few authentic sri lankan places we found, well both overcharged us 100s of rupees over the menu price for certain items. And then complained about a lack of tip. Another place had chicken in the curry that had been clearly freezer burned and then thawed and cooked (I was a butcher for many years and have seen chicken with this texture many times). I was so looking forward to the food here, based on the many cooked meals I have had from Sri Lankan friends of mine in London. It is very frustrating. I am a Sri-Lankan lived in deep south part of the Island. For past 20 years I am living in Australia. I agree with many things Alyson said in the article. Many problems you faced there is a norm for Sri-Lankans as well. Although it is a small island, cooking methods and preparing of same food is highly varied. From my life I can give you an example. Although I am from deep south rural area I married a women from capital. For first few weeks I couldn’t eat many curries she cooked as those were very salty and no liquid(Curry). In my view Sri Lankan coastal area was under European for more than 300 years. Namely Dutch, Portuguese then whole country under British. In between Spanish and french were there. They were dominated in different coastal areas. So my view is some of there cooking methods integrated to the true local cuisine. In the case of rotten Fishes, as a child I used to bought these from our market and my mother used to send those back to the fish monger. Thanks Sam for your support and insight. We all adore Sri Lanka ans Sri Lankan food, but we did struggle sometimes. I’ve been tempted to remove or change this post, but it’s our findings, our personal experience, so it has to stand as true and honest. Yep, Sri Lanka is one of our absolute favourites and has been for a very long time. Well, my wife and I lived for a year in SL one time and four months another time (biology). I am a long-time cook and your experience sounds like you are new to Asia travel, and local food. You sound picky (not liking rice in Asia) and spoiled (the fish smelled). Next time, before you go somewhere, do a little reading and stay away from the bus-tourist traps. You actually couldn’t be more wrong Fred. I adore Asian food and Asia in general, it’s my favourite part of the world, Sri Lanka and India in particular. This is my 3rd visit to Sri Lanka, I know the island extremely well. I’m also a big fan of fish, not being a meat eater. If fish smells bad, it’s off. Simple. You may not know, not being a regular reader, that my husband is an executive chef, that lends weight to our observations, don’t you think? Even Sri Lankans admit that Sri Lankan food tends towards the unexciting. Would you go back and do me the honour of reading this post in detail please, I think maybe you skimmed over it, or maybe just read the title. You don’t seem to have caught what I was saying at all. It’s not that I dislike rice, it’s just a bland filler, I avoid most carbs for that reason, but I love my hoppers. Good to know Alyson and good advice. I do like seafood so I’d have to get my husband to check the fish! I’m not too bothered about the coffee as I don’t drink it. Give me a good cup o’ tea and all is fine in the world! Fascinating, Alyson. For me it’s hard to love a country if a good meal is hard to find. Here in Jalisco (Mexico) we’ve been struggling, though supposedly the food in other parts of Mexico is better. The Sri Lankan brekkie in that last photo looks fab. I LOVE my Sri Lankan breakfasts Renee, when I can get them, it’s not so easy. Here in Kandy we’ve been having huge and amazing breakfasts every morning, so good! Thank you for this – I usually head straight for the fish if I’m eating somewhere by the sea, but this is a timely warning.